Henry E. Oliver, 77, of Philadelphia, a federal administrative law judge who heard disability cases for more than two decades, died Monday, Nov. 26, of a cardiac-related event at his home. 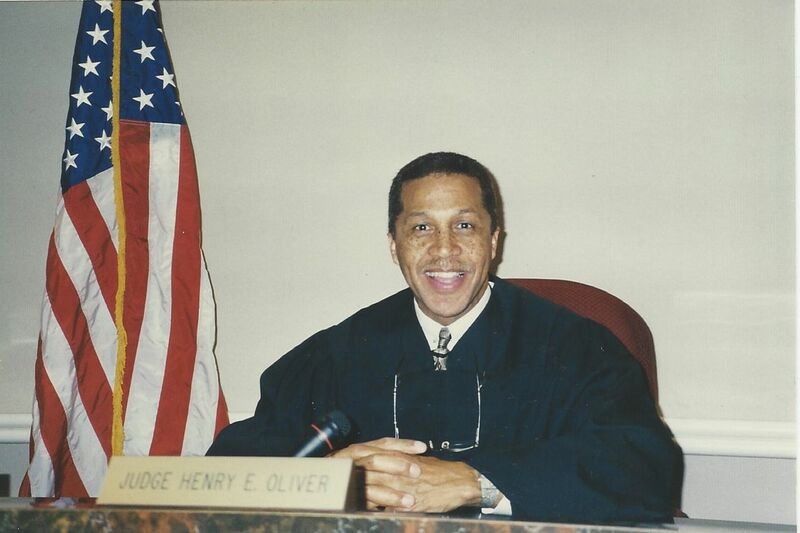 Beginning in 1997, Judge Oliver worked for the Social Security Administration’s Office of Disability Adjudication and Review, first in New York, then in Voorhees, and finally in Elkins Park. Judge Oliver served as the Elkins Park office’s chief administrative law judge for several years before stepping down, although he continued as a judge. The decisions he rendered were based on medical and vocational experts’ opinions and other findings, according to the Social Security website. He had not always set his sights on becoming a judge. After graduating from Simon Gratz High School in 1959, he received an academic scholarship to Pennsylvania State University, but instead joined the Air Force in 1960. He was honorably discharged in 1966 with the rank of airman first class. He began his career in the 1960s as a Philadelphia police officer. He chose the job because police work was a tradition in his family. Judge Oliver believed in education as the ticket to advancement. He earned a bachelor’s degree in philosophy and sociology from Cheyney University in 1970. At Cheyney, he was on the dean’s list all four years and was elected to Alpha Phi Sigma, a criminal-justice honor society. In 1974, he completed a master’s degree in education from Temple University. With degree in hand, he landed a job as a teacher at Gratz. “Henry enjoyed teaching and was popular among his students,” his family said. His ambition and love of learning led him to earn a law degree from Villanova University in 1976. He started out in private practice and then worked as a lawyer representing youngsters being held at the Youth Study Center. Judge Oliver moved on to Common Pleas Court, where he served as a juvenile hearing officer from 1987 to 1996. When not at work, Judge Oliver enjoyed skiing and tennis. He was an eternal optimist. “He had a positive outlook on life, an outgoing personality, and he spoke to and developed friendships with people from all places and walks of life,” his family said. He liked to tell others of his family members' achievements. Judge Oliver married Davenport in 1998. In addition to his wife, he is survived by children Avi, Anthony, and Jason; two grandchildren; three sisters; a brother; and nieces and nephews. He was previously married to Patricia Watson, who is deceased, and Kathleen Geraghty, who survives. Funeral services will be at 10 a.m. Friday, Dec. 7, at New Covenant Church of Philadelphia, 7500 Germantown Ave., Philadelphia, Pa. 19119. Interment is in Fairview Cemetery, Willow Grove.